Just Watching the Wheels Go Round: Carl Jung and Project Woo Woo? 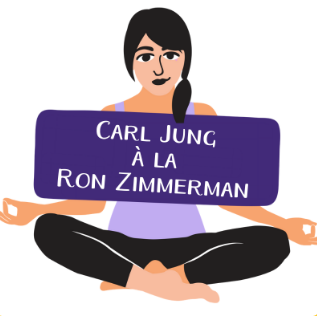 When it comes to Carl Jung it's the woo-woo stuff that he was into that really peaks my interest, so I was surprised to come across a podcast when I did a search for 'Carl Jung+woo woo' and found a podcast called 'Project Woo Woo' featuring Carl Jung. I thought wait a minute, Carl sounds more like a rabbi than a Swiss psychologist to me. But it wasn't really Carl, it was a comedian playing Carl Jung in an improv comedy sketch. Then I imagined I was listening to John Lennon. That video above is not improv comedy from 'Project Woo Woo', that's the real Doreen after finding the real Jesus. The above podcast is not the real God, or George Burns, but another 'Project Woo Woo' podcast. That's all of the woo-woo I've listened to so far, but I can't wait to hear Dylan, Oprah and Carl Sagan. I also found this woo woo podvlog above on my search, which was really woo-wooey.